A Ugandan police officer was on Tuesday found dead hanging from a rope in his house in the country’s capital of Nairobi. According to NairobiNews, the officer, Patrick Macharia was found by his colleagues after he failed to report to work. He was to resume work on Tuesday. His colleagues tried to reach him on phone and when he did not answer, decided to go find out why he did not report to work. On reaching his house they found it locked from inside. They waited for his daughter to return home to open the door. 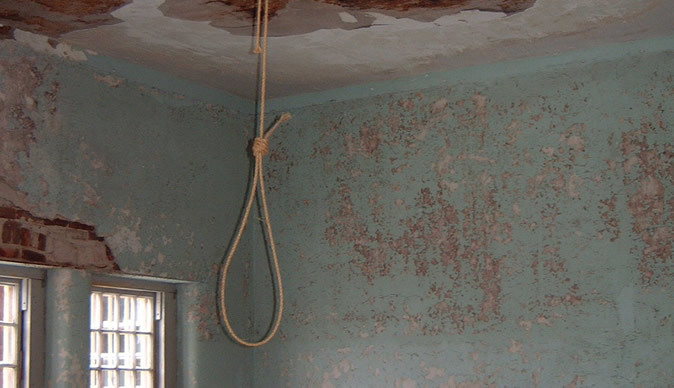 Upon gaining entry to the house they were shocked to find him hanging from a rope that was tied on the bedroom door. According to a neighbour, the deceased always travels upcountry on his off-days, but had not travel last weekend. He instead hosted one of his colleagues who had visited him. Another neighbour said they were together on Sunday and the police officer looked jovial. He even bought her lunch and told her how he was happy that his daughter had started school. Police in the country are investigating the circumstances of his death.